An experiment in advice and support for dance artists…..
‘Pass It On’ is a pilot programme to meet the in kind advice and support artists often ask for. As the number of requests I receive can sometimes be overwhelming, or just come at a time when paid work is too busy, I’m looking to rationalise support in our irrational circumstances! 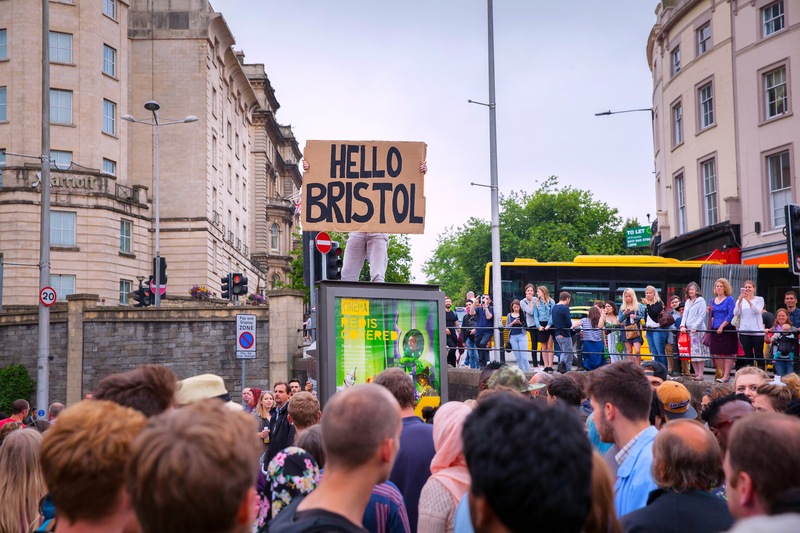 I will formally offer one day back in kind to Bristol based dance artists, or artists looking to work in Bristol, for every ten days contracted work I have in the sector. This will take the shape of a one to one advice surgery and follow up email / online support with project planning or bid writing. The advice sessions can be general or specific but having clear questions in mind will help you get the most from them. ‘Pass It On’ will explore whether artists have recurring questions and common areas where support is needed. At the end of the pilot, I will collate data to share with colleagues and the sector to help us develop useful resources and networks for the city. The advice sessions will take place every 3 weeks at the Monday Morning Dance Social and Collective Roll About at Tobacco Factory Theatres. Skype sessions can be arranged for artists outside of the city or unable to travel. In return I ask that you complete a short feedback questionnaire to see what was most helpful. To shamelessly borrow from Mr Bob Marley – ‘Pass it On’ – we move and grow together! *NB If you are an artist working in Dance of the African Diaspora / Dance of Black Origin and based anywhere in the South West region, you can also meet me by emailing: katy.noakes@onedanceuk.org, where I am based 2 days p week. For info on D.A.D at One Dance UK please click here.